Lights of the Lakes is an original narrated slide show accompanied by music and sound effects. It consists of over 200 photographs, including striking portraits of over 60 different Great Lakes lighthouses. Other images include shipwrecks and historical subjects depicting iron and copper mining and lumbering activities in the 19th and early 20th centuries. The importance of these industries during this period necessitated the construction of many of the lights seen in the show, to help facilitate shipping of mineral and timber products to distant markets. The program optionally concludes with a tribute to the Great Lakes ore carrier Edmund Fitzgerald. The speaker’s photographic interpretation of this mysterious shipwreck produces a memorable conclusion to the program. 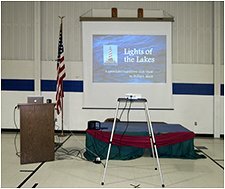 Lights of the Lakes is an hour-­long slide presentation featuring the lighthouse photography of Phillip L. Block, who narrates the program from a prepared script. The Great Lakes lighthouses shown are situated on the shores and islands of Lakes Michigan and Superior. Recurring subordinate themes include lighthouse technology, both past and present, and shipwrecks that occurred when the technology failed. 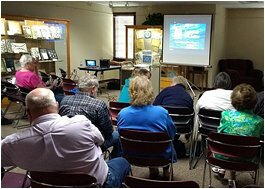 Lights of the Lakes is perfect for anyone interested in lighthouses, Great Lakes maritime history, shipwrecks, or even recreational boating and sailing. Over four thousand people have enjoyed the show over the years. Celebrate the picturesque beauty of our remote great lakes lighthouses, which are captured in many different settings and in all seasons. Educate the viewer as to why the lighthouses were originally built, and explain their historical significance to shipping on the Great Lakes. Sensitize the viewer to conditions threatening the continued existence of our historic lighthouses. To learn more about Phil’s background, see About the Presenter. To view an interactive Google Map showing the locations of all lighthouse in the program, visit the Lighthouse Locator page. Do you have questions about Lights of the Lakes? If so, visit the FAQ page to get answers! To see what past sponsors have said about Lights of the Lakes, visit the Testimonials page. 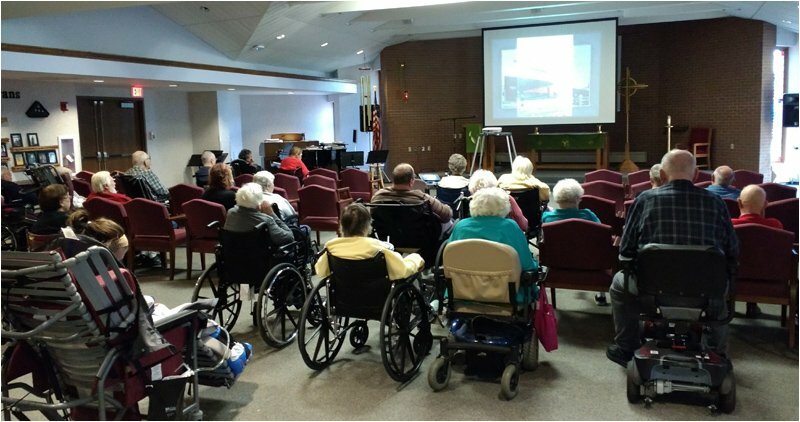 Lights of the Lakes is frequently requested by maritime and historical organizations, museums, boat and yacht clubs, municipal libraries, senior centers, and similar groups of lighthouse enthusiasts. 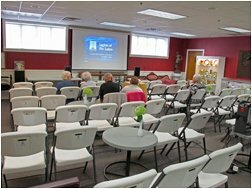 To schedule a presentation, please email keeper@lightsofthelakes.com or call (262) 284-2505 [H] or 414-559-7600 [C]. Much of the photography may be previewed at my companion web site Lightstations.com. Thank you for your interest in Great Lakes lighthouses and my Lights of the Lakes slide show.